... But, oh dear! You tripped just as you were getting on stage! The papers scattered on the ground. As you picked them up you realized ... you forgot to number them! Today just doesn't seem to be going well. 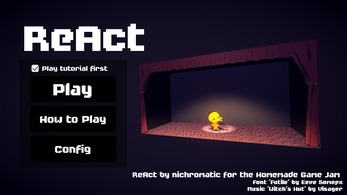 There's only one option left: React! 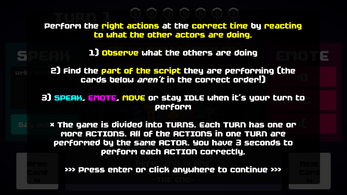 How to play: Perform the right actions at the correct time by reacting to what the other actors are doing. If it's your first time playing, please take the time to complete the tutorial. 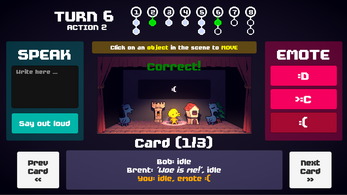 The game can be hard to understand at first, sorry! * The game is divided into TURNS. 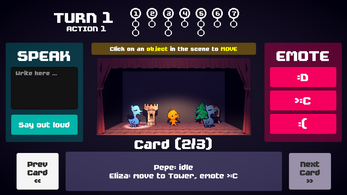 Each TURN has one or more ACTIONS. 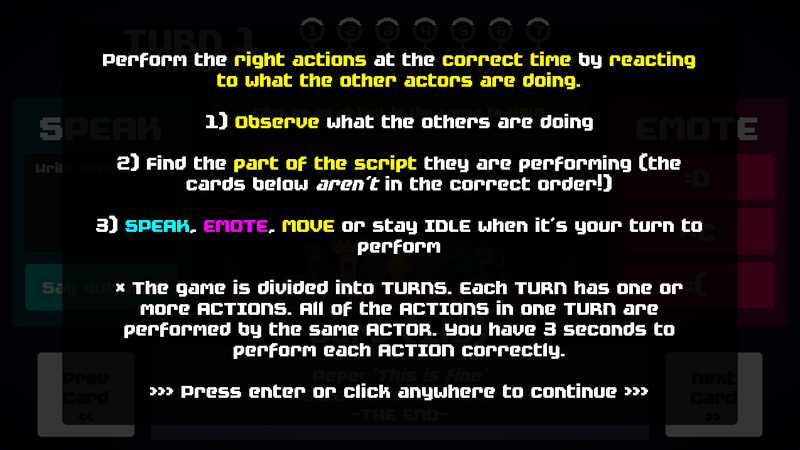 All of the ACTIONS in one TURN are performed by the same ACTOR. You have 3 seconds to perform each ACTION correctly. All assets/code/design were made by me, except the sound effects (all royalty free, some edited by me as well), the music (Witch's Hut, by Visager) and the font (Futile, by Eeve Somepx, from this free pack). If I made any mistakes or forgot to credit someone here, please tell me! 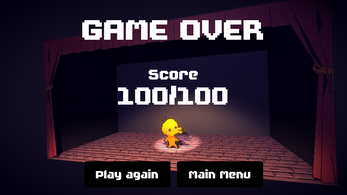 This was my first time making a "full" game on Unity, so I apologize if there are many bugs. I'll try to update the game after the jam ends if I can. Changing the resolution can be a bit buggy! I recommend playing the game in 1280x720, or 640x480. 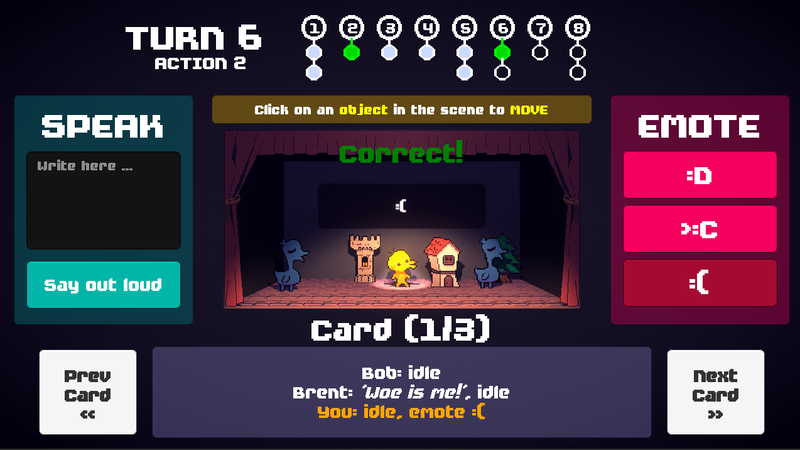 The UI should work in most resolutions, but things may overlap and I didn't have time to test it properly. 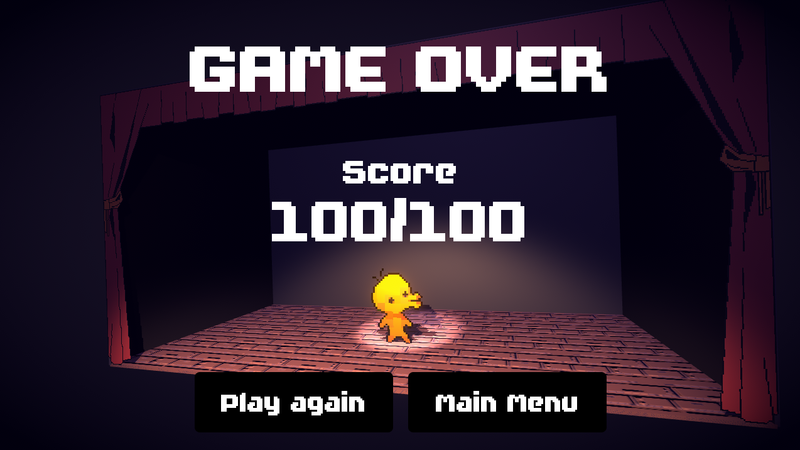 It took a while for me to get the hang of the game completely, but once I did I honestly had to force myself to stop playing because it was so addicting! This game is actually fun. I really like it, nice job! Sorry for the late response! Thank you so much for playing the game and showing it off on your channel! I hope you enjoyed it! I found an bug. 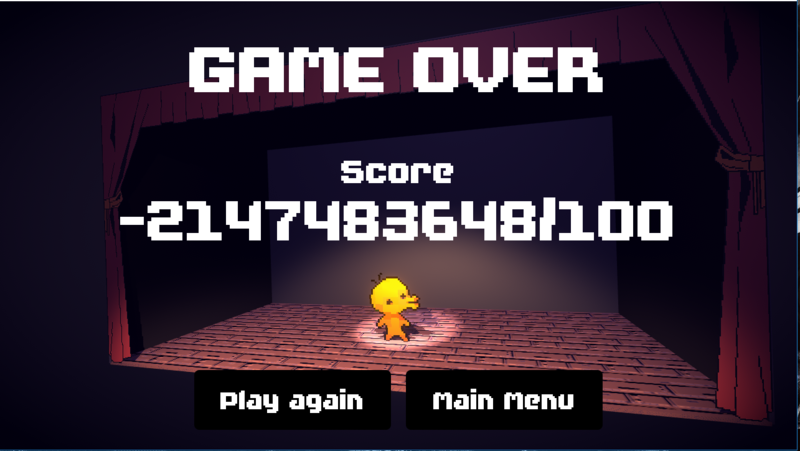 I think I got the best score. Yeah, it's a silly bug I forgot to fix before ... 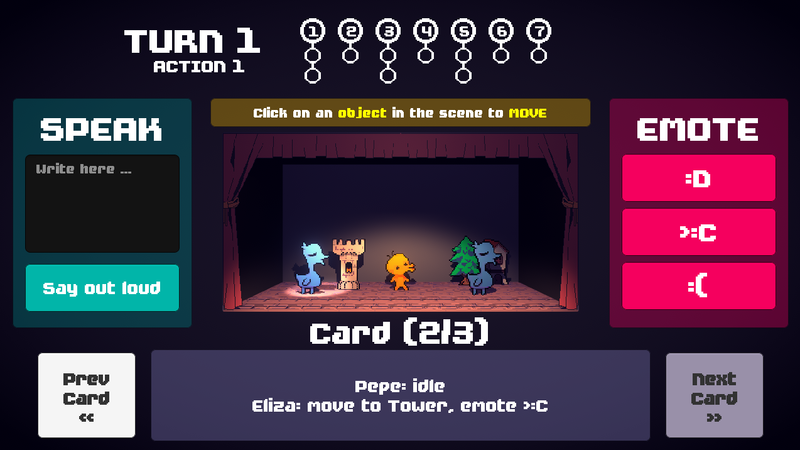 The game doesn't check if there is at least one player turn in the whole game, and if that happens, it gets confused when calculating the final score (because it's divided by the number of turns you've had, which is 0). I'm working on a small patch with all the feedback I've got from people, this bug should be fixed by the time I upload it. Thank you for playing! I really enjoyed playing it! I was rather rubbish to begin with but then I started to get the hang of things. Such lovely graphics and a unique idea. Loved everything about it! Made me laugh and put a smile on my face! Yes, I've been told the game can be very confusing at first ... I'm really glad you enjoyed it though! Thank you for playing!